When someone mentions your twitter account in a tweet, or one of your followers sends you a DM (direct message), twitter can be set to send out an email to the address of your choosing. 2. 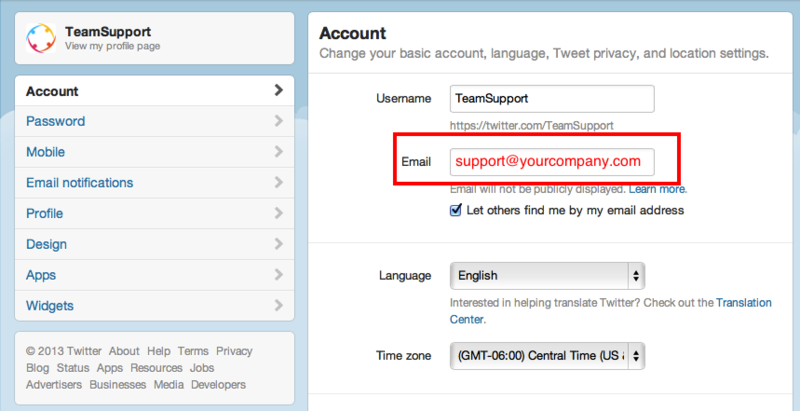 Make sure your Twitter account email address is either one that forwards to your TeamSupport account, or your TeamSupport System Email address itself (which can be found under Admin/Email tab at the top of the page). 3. Referencing the image above click on Email notifications to the right. There are many options for you to choose here, and be aware, each time an email is sent, a new ticket will be created in your account. 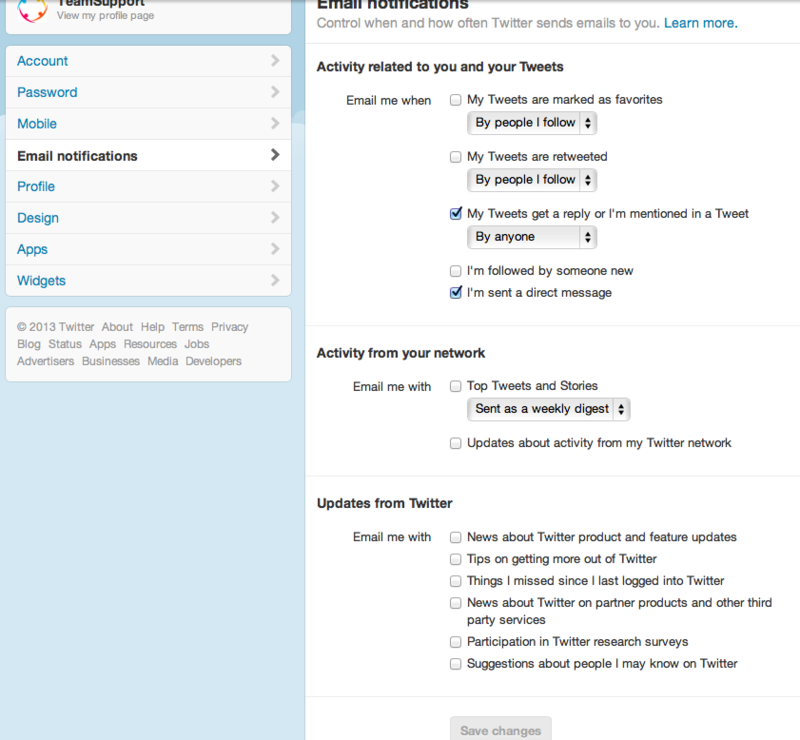 Below are the settings we use in our account. 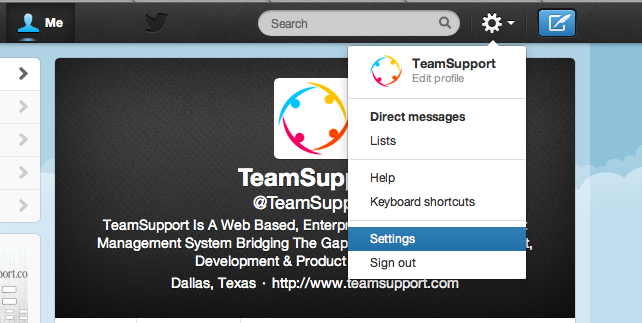 This means anytime a follower sends us a DM or @teamsupport is mentioned in a tweet, a ticket will be created. If you want to organize these tickets, you can create an automation rule. Set a condition that looks at Ticket Name and use the “contains” clause for the word Twitter. Next define an action or actions to take. Perhaps you want to assign it to the “Twitter Group”. You will first need to go to the Groups section and make a new group called Twitter. Once that is done, the rule would look like this: Ticket Name Contains Twitter, then the action would be to Assign to Group Twitter. You can also flag these tickets, assign them to a certain person, and so on if you like. There are many things you can do with Ticket Automation.